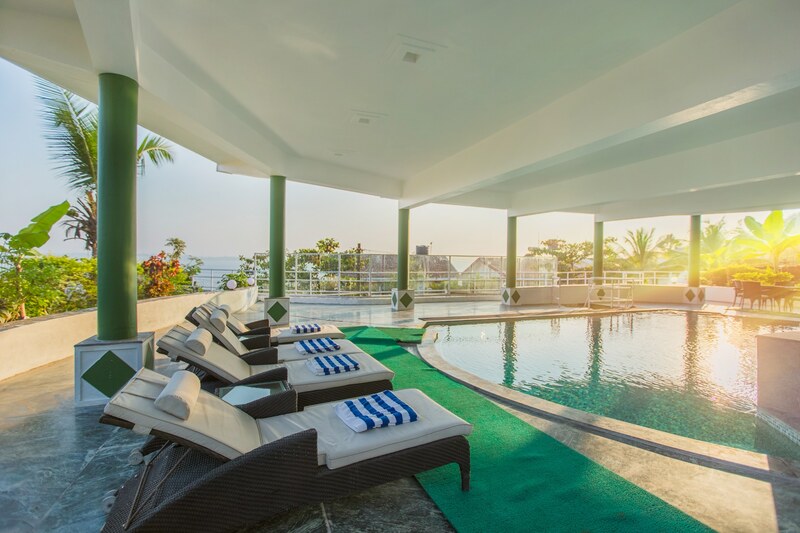 The contemporary villa is located on a hill in an elite residential complex at Reis Magos. 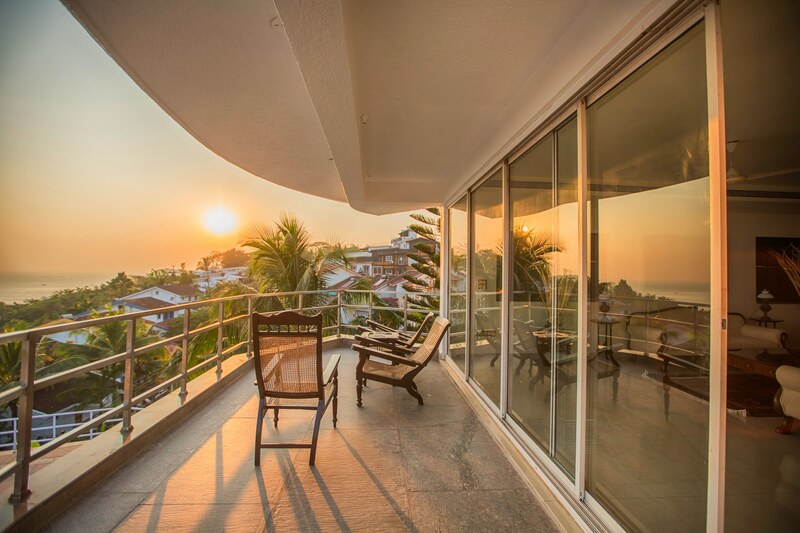 Spread over 3 floors and a ground floor, the villa offers large bedrooms, an open design sitting room and stunning views over the Mandovi river. 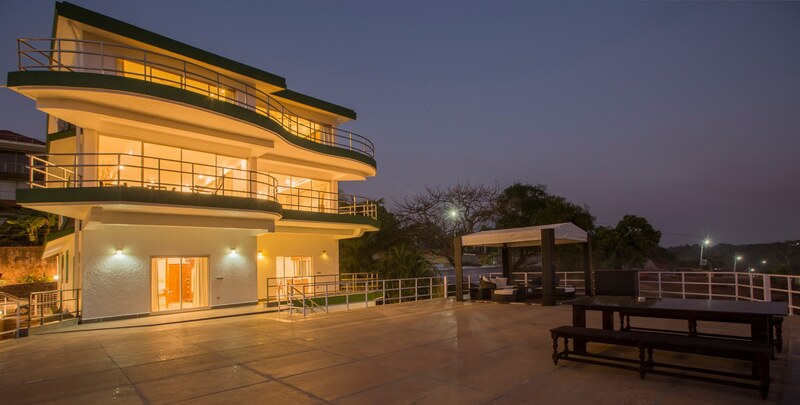 Panjim and the off-shore casinos are approx. 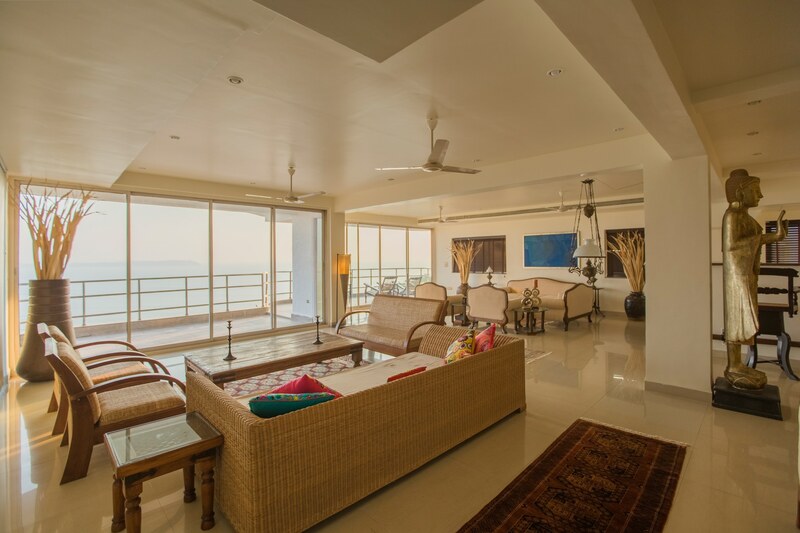 15 minutes drive and Candolim beach is approx. 10 minutes drive from the villa. Coco beach is 5 minutes away. 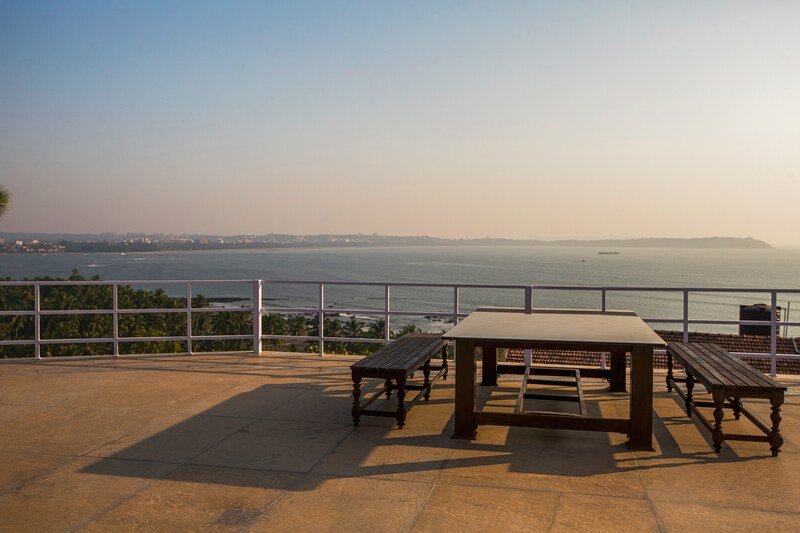 The Reis Magos Fort and Three Kings church are nearby. 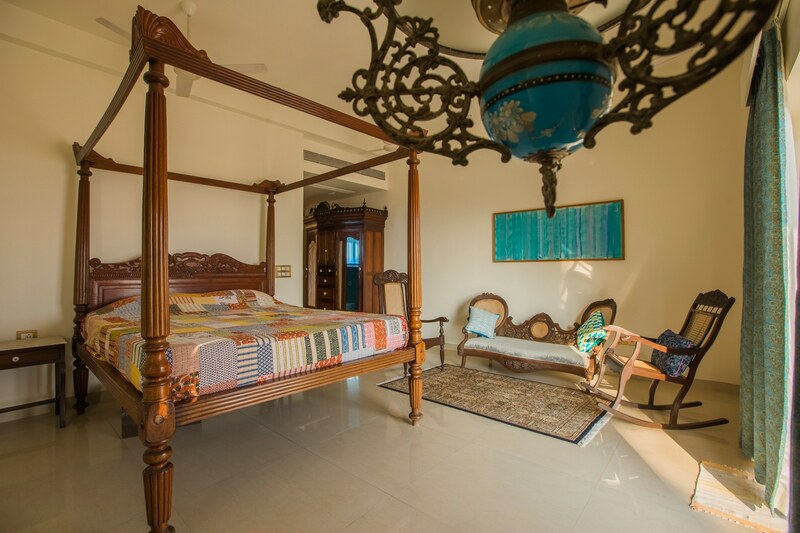 The villa has 3 bedrooms with the possibility to accommodate up to 10 guests. 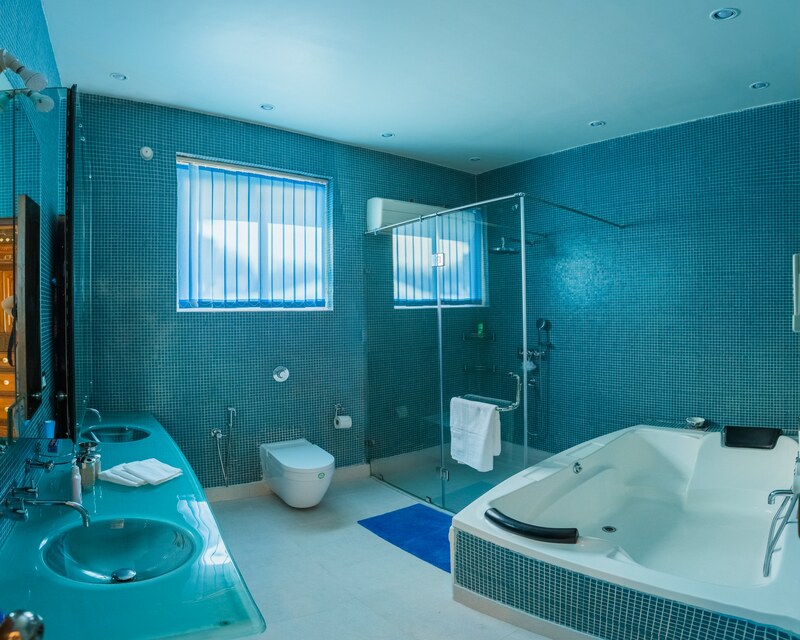 The first en-suite bedroom with a Jacuzzi is located on the ground floor. 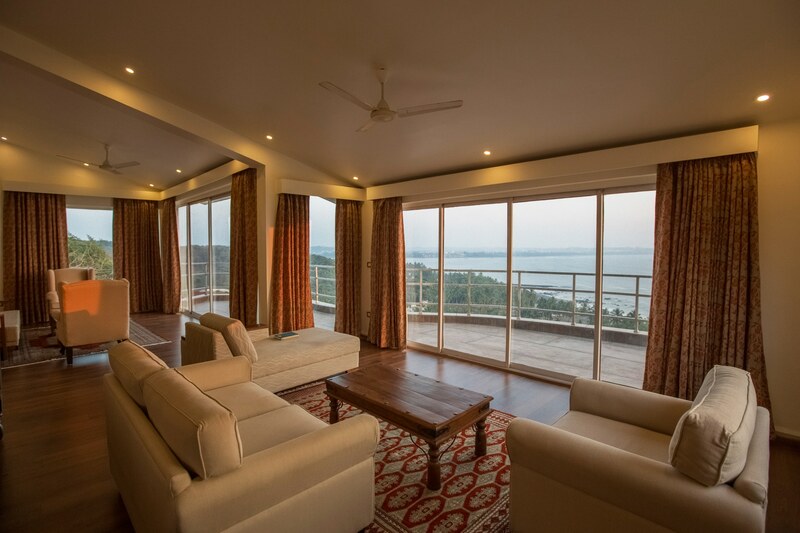 Sliding glass doors open on to a huge terrace with views towards the Mandovi river. 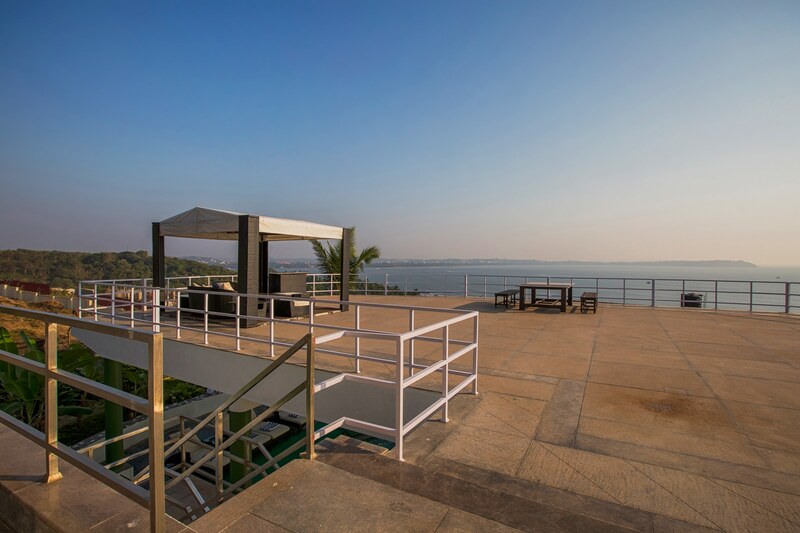 The terrace has a sit-out and a gazebo perfect for families and friends to gather for sun-downers. 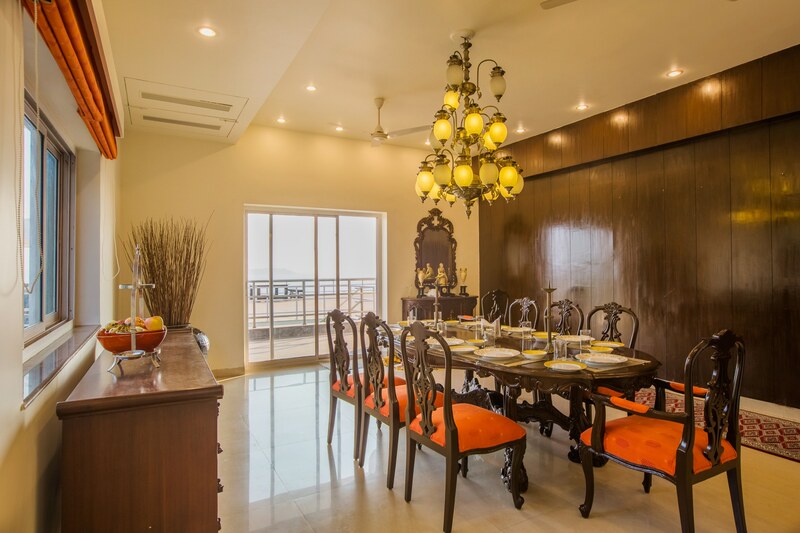 Adjacent to the bedroom is the dining room which leads to the same large terrace. 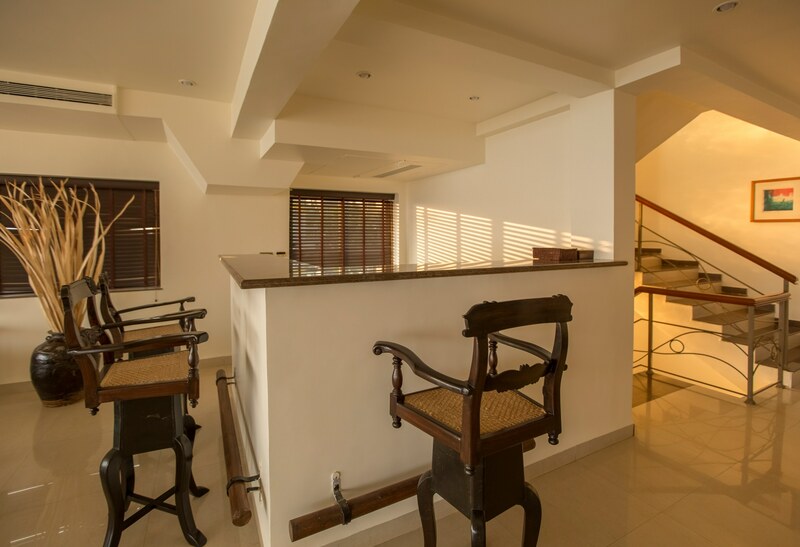 A broad sweeping staircase leads to the first floor and the open design sitting room, TV room, small library and bar. 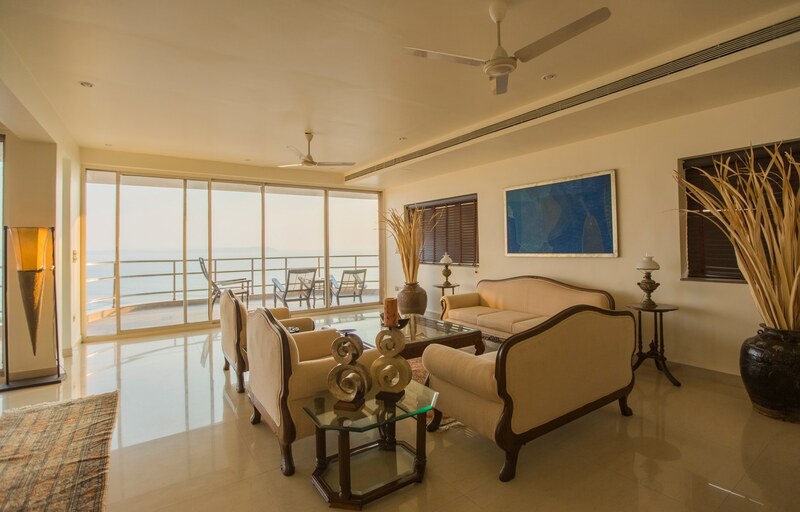 All the 3 levels have the same mesmerising views of the river and the ocean beyond. 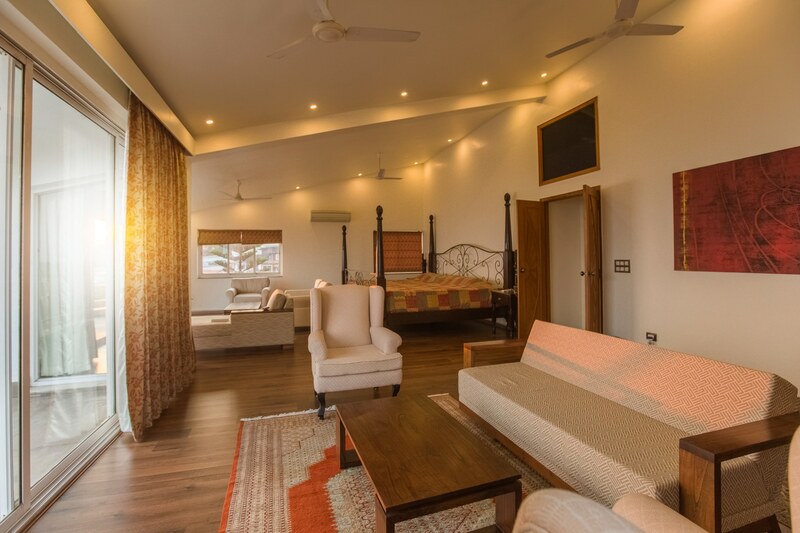 The en-suite spacious master bedroom is spread over the second floor of the villa. 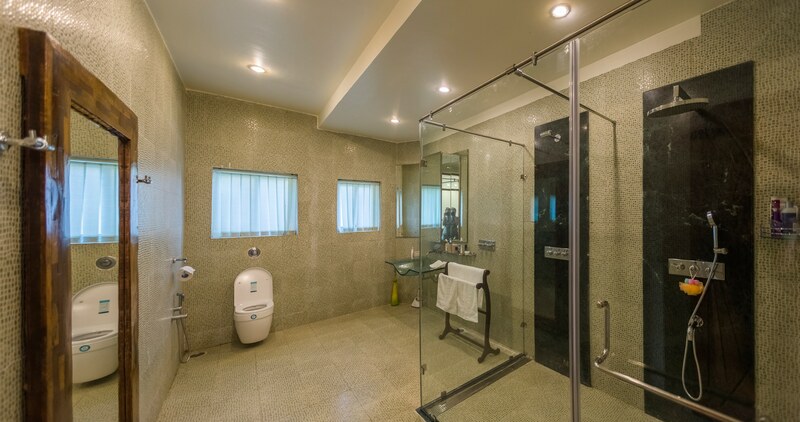 There is a huge walk-in closet, his & her’s bathroom with a Jacuzzi, wine chiller and a never-ending four-poster bed that can easily accommodate 4 people (parents with 2 young children). 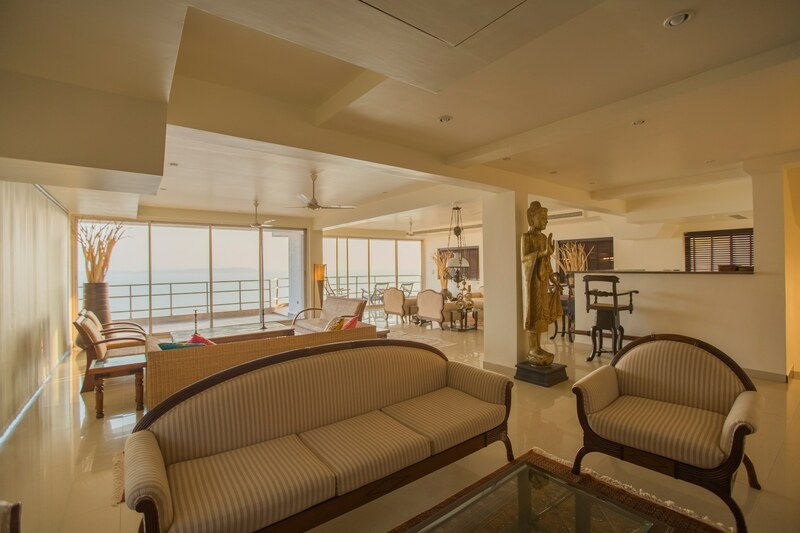 Sliding glass doors open on to a balcony with stunning views over the Mandovi river and Panjim beyond. 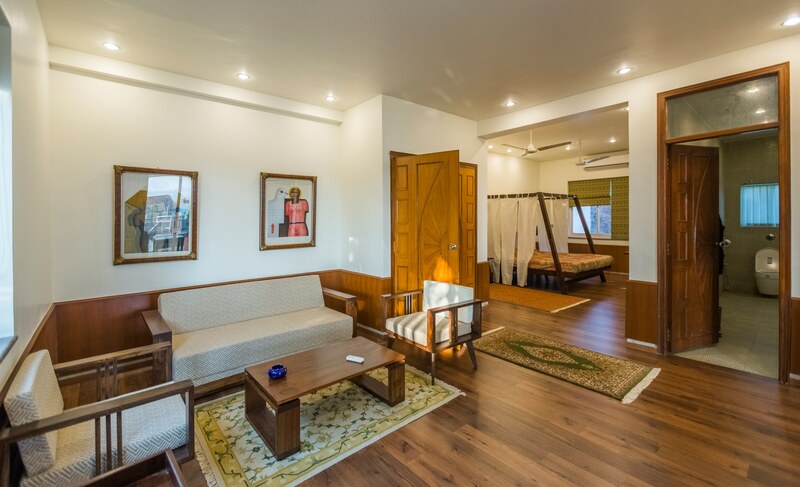 The third bedroom is situated on the floor below the ground floor. 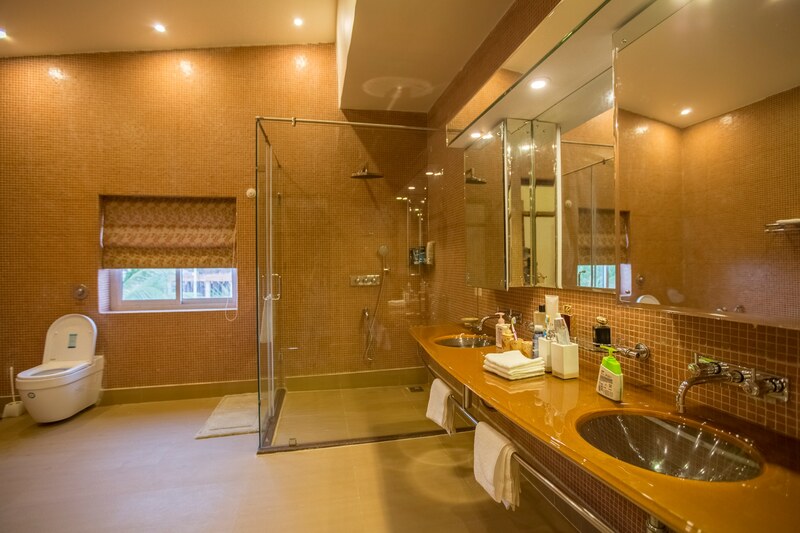 There’s a large en-suite bathroom and walk-in closet. 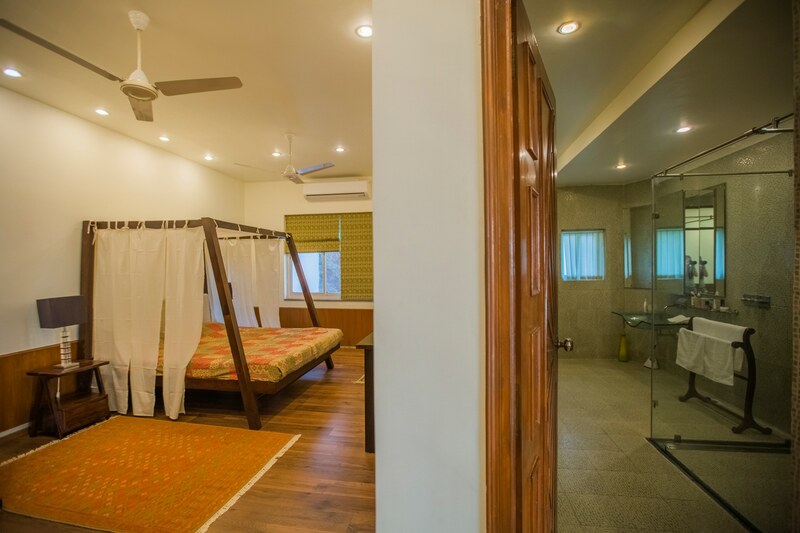 Additionally, a sofa bed could accommodate an extra 2 people. 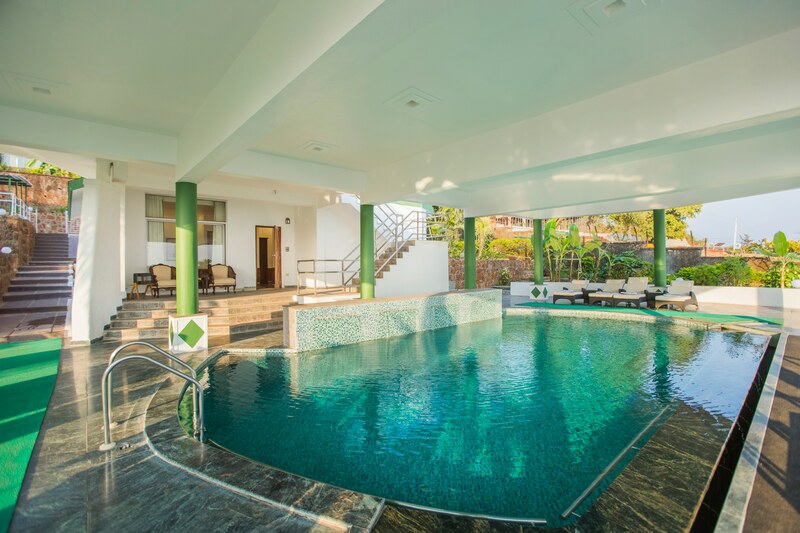 From this floor, guests can saunter to the shaded swimming pool. 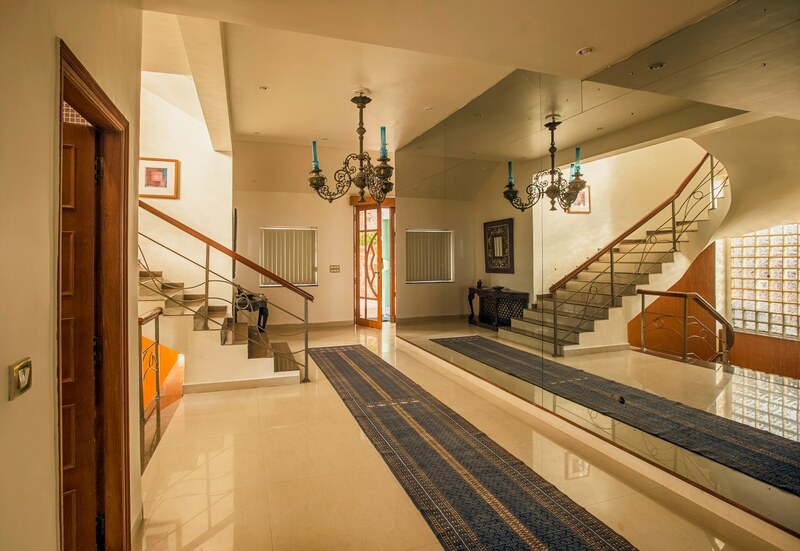 An outside staircase leads from the ground floor to the swimming pool.